What brings these people together, beside their passion for better cities, is their frustration with the gap between designers and the users. Here, in arki_lab, we believe that cities should be constantly shaped and transformed by people. When designing urban spaces, the focus should be put on engaging people in all the design stages. The attention of the architects and urban planners has to be shifted towards the processes of urban formation instead of being stationed on the final product. Furthermore, the outcome of this process should be adaptable and responsive to the changing needs of the users. This is what we call Democratic Urban Design. 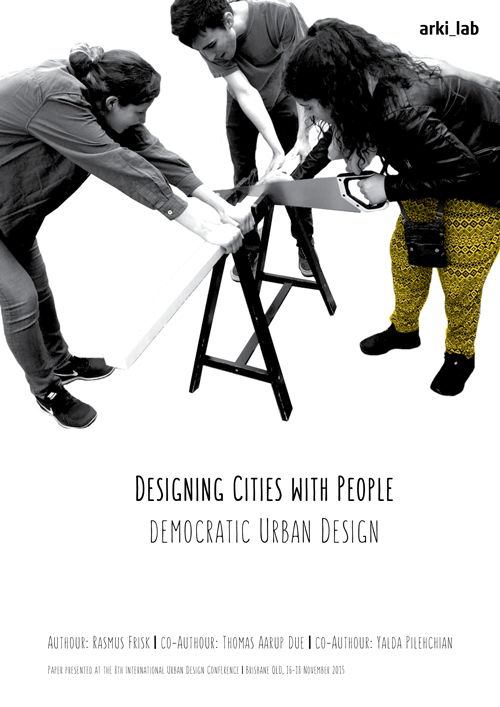 Our focus at arki_lab is to promote the Democratic Urban Design through developing citizen involvement tools. Educating, activating and empowering local people and communities are the central goal in all of our projects, and those goals are only achievable through processes of co-creation. In the following paper, we elaborate on the concept of Democratic Design. Also, we try to redefine the role of architects and urban planners in a way that falls in line with the above intentions. Furthermore, some of the tools that we are using to engage the users to a higher degree in the production of space will be introduced. One of the greatest challenges to our cities today is increasing segregation of all domains by age. According to Norwegian gerontologist and sociologist Gunhild Hagestad & Peter Uhlenberg, our society is divided by age in three different ways: Firstly, by a governmental or institutionalized use of chronological age using a person’s birthday to determine their status in legislation. This secondly entails a spatial segregation between people in different age groups from kindergartens to retirement homes. The spatial divide thirdly creates a cultural segregation between different age groups present in different lifestyles, tastes and experiences of our world [and material surroundings], which leads to stereotypes and ageism. From our birth to our death, society keeps us well within spaces occupied by peers to the degree that other age groups seem alien and unapproachable. We wish to discuss several ways of countering age segregation in our cities, based on a research project for the Danish Ministry of Housing. First, we address ways of countering institutionalized age segregation with the need for interdisciplinary and cross-departmental projects in municipalities. 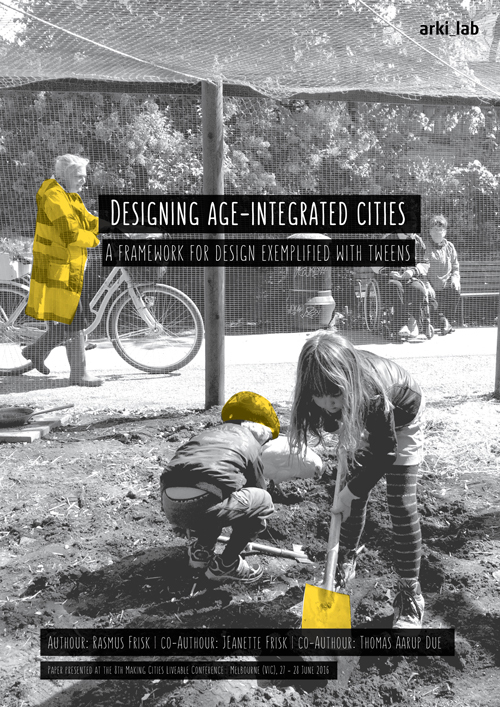 Second, we discuss the creation of age-integrated public spaces that facilitate interaction between age groups, as well as the difference between applying so-called universal design and integrating age-specific designs. To this end, we also wish to remark on the important difference between designing for age groups and generations. We also discuss how to open up ‘age-ghettos’ like retirement homes with the development of adjacent or integrated areas of age-heterogeneous activities. Third and last, we will explore the existing challenge of the cultural segregation of age, as well as the different degrees of age integration that are possible, from peaceful coexistence to fully fledged friendships. We point to the different ways that interdisciplinary collaboration is necessary in an overall effort to create environments where people can meet and interact across the span of years. With the advent of video games becoming a mainstream form of entertainment, overtaking movies in the amount of money grossed, as well as the amount of time spent playing them, they offer an alternative virtual space for civic engagement. City shapers need new tools that will enable them to be more process-oriented, communicative, and encouraging of the involvement of multiple stakeholders. Digital game models meet these requirements, and although they have slowly been adopted in planning practice, they have not become an indispensable piece of equipment. Their ability to reach and engage millions of users offers an incredibly valuable tool and resource, and arki_lab is making that indispensable. Using the technique of gamification allows the bridging of the gap between the citizens and the macro level of urban design strategies. After years of experience with citizen involvement, arki_lab has developed a set of flexible user involvement strategies called “arki_tools.” We use these tools to design cities with people, facilitate our architectural design process, and collate a valuable database from citizens’ experiences. 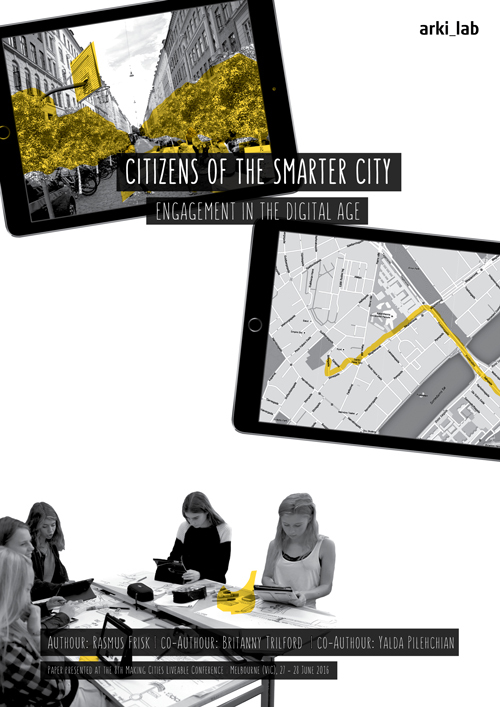 Digitalising our tools has led to the CoCityApp, a smartphone application that empowers the community to understand problems and proactively propose transformative solutions to their urban space. The power of arki_tools lies in their ability to gather the local knowledge into real-time data about the conditions of our cities seen through the eyes of the citizens. Further facilitating communal and spatial education is arki_nopoly. Passing the board-game stage, arki_nopoly is developing into an effective tool to facilitate educational projects as well as citizen involvement in projects with both a physical and a virtual outcome. This process would set a whole new scene for the future development of our urban context; a future where bottom-up and top-down planning, pixels and participants work hand in hand in co-creating the urban landscape. 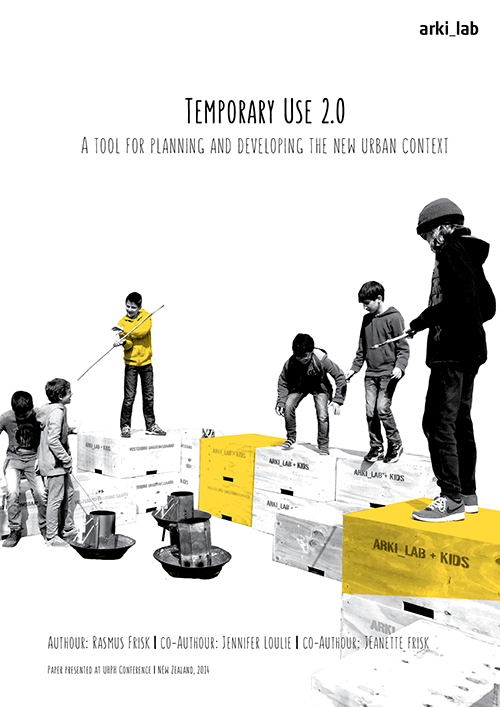 What can temporary use do in urban planning? Temporary urban spaces and land uses are gaining more and more interest in the field of urban planning in both theory and praxis. Temporary uses are often implemented on former industrial sites, which hold great potential for the development and testing of new ideas. Temporary planning is less restricted and allows one to think more freely, maybe even to dare a little more? It is also a way to test ideas out in full scale, before making permanent solutions. In praxis, the growing focus on the development potentials in temporary urban spaces has triggered increased political awareness and thereby ensured the subject of temporary uses a place as a future focus area in municipal planning. Temporary urban spaces are gaining ever more footing and acceptance on the political agenda as a result of their potential for creating eventful, cultural and creative urban environments. This political focus on temporary urban space is an indication of general urban regulations and development tendencies characterized by cultural planning, leisure, economy, collaborative planning and an increased focus on everyday life. Particularly economic parameters related to leisure such as creativity, culture, urban life and experiences are highly prioritized on the interurban municipal agenda, with temporary uses as a concrete development tool. An interesting dichotomy has also arisen between the use of temporary space as a tool for social planning by urban designers as opposed to the use of temporary space by politicians as a vehicle for economic gain through leisure spaces. This presentation will focus on the phenomenon of Temporary Use as a city-political focus area now and in the future as well as the use of the temporary as a planning tool. Several case studies will be used to illustrate these topics.